Lamborghini is set to debut a limited run model at the Geneva Motor Show to celebrate founder/Enzo Ferrari nemesis Ferruccio Lamborghini’s 100th birthday. The car will reportedly retail for $1.2M, but won’t be based on a unique platform, according to Pistonhead’s interview with CEO Stephan Winkelmann. There’s a crazy rumor going around that Winkelmann, the tall, handsome ex-paratrooper running Lamborghini since 2005 is about to get transferred to Audi’s Quattro division. If true, call us surprised, but since it comes from Autocar, who base it on unnamed Italian sources, let’s just focus on the facts for now. Pistonheads had a chat with Winkelmann, who once again confirmed that the 2018 Urus SUV will be the first Lamborghini with a twin-turbo V8, and that if they ever go hybrid, the SUVs will be the platform that can take the extra weight. When remains a question, but he also said the standard Urus will go faster than the Bentley Bentayga at 187mph, or any Porsche Cayenne. It won’t be unique. To do 20 cars we will always use the platform of one of our existing cars. But in terms of design, in terms of performance and in terms of innovation it will be a completely different car. You will have to wait and see what it’s based on, but usually when we go into the very limited car numbers we pick the Aventador as the base. 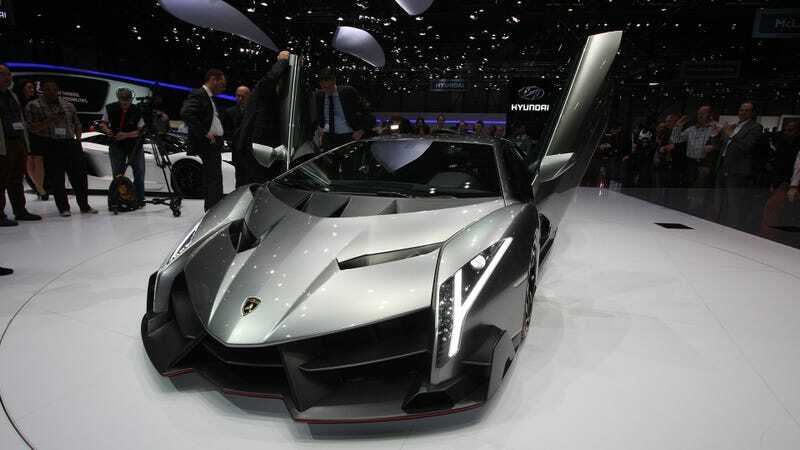 Does that sound like the Veneno story all over again to you as well? Except for that the new car will be much cheaper at $1.2 million instead of 4 and less exclusive at 20 units instead of 3+1.